While coffee may not technically be keeping us alive, it's what keeps most of our lives running. Scientists are still debating whether it's wise to organize our lives around trips to cafes, but a judge in California has just ruled that coffee sellers in the state must start to display cancer warnings on the caffeinated beverages. The ruling, made by Los Angeles Superior Court Judge Elihu Berle, is based on the presence of a chemical called acrylamide, which is a known carcinogen and a byproduct of the bean-roasting process. That chemical has led to an eight-year legal battle between the coffee industry (Starbucks and 90 companies in this trial) and a small nonprofit group called the Council for Education and Research on Toxics. CERT's lawsuit, originally filed back in 2010, demanded that the coffee industry either remove acrylamide or warn the public with labels declaring the risk of cancer. A similar lawsuit was filed against the potato chip industry years ago, and the chemical was successfully removed from chips in the state. Coffee sellers, however, insist that's not possible for them without marring the drink's flavor. 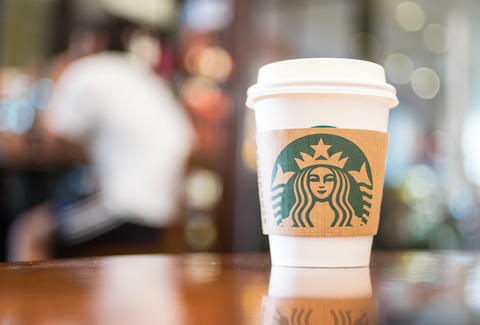 Starbucks, among other defendants, also claimed that the level of acrylamide isn't harmful and that the many benefits of coffee outweigh any risks. “Cancer warning labels on coffee would be misleading. The U.S. government’s own Dietary Guidelines state that coffee can be part of a healthy lifestyle,” the National Coffee Association said in a statement. At least 13 defendants settled before the decision, including 7-Eleven, and agreed to display signage disclosing the link between cancer and the chemical and to pay millions in fines. But the third phase of the trial is about to begin, which includes possible civic penalties of up to $2,500 per person exposed to acrylamide since 2002 in California. These fines would be unbelievably large considering that California has a population of almost 40 million. While the fines may be concerning for the industry, it's hard to imagine coffee drinkers being dissuaded by anything.